The prestigious International Press Freedom Awards were given out by the Committee to Protect Journalists (CPJ.org) in the USA on 20 November. Human rights activist and journalist Azimjon Askarov, an ethnic Uzbek from Kyrgyzstan, is one of the four laureates of the prize. Fergana editor Daniil Kislov was at the ceremony, held in one of New York’s most majestic venues. He recounts his experiences in a letter to Mr Askarov, who is serving a life sentence in Bishkek following an unjust court verdict. I am writing you this letter, knowing that your lawyers and friends will definitely pass it on to you in prison, where you have been for two years already. I am not sending this story to you alone, but to all the readers of our site, because I want them to know that you have become the laureate of a prestigious international press freedom prize, and tell them about the award ceremony in the US. Firstly, a few words about the Committee to Protect Journalists, which founded the annual International Press Freedom Award. This is one of the most authoritative organisations, which advocates journalists’ interests across the world, and was established in 1981. It is managed by a Board of Directors, which consist of very famous and influential people, chief editors of large publications and information agencies, Pulitzer prize winners and media consultants. It is those people who select the laureates of the prize among the many journalists from around the world based on their experience and assessments made by their colleagues. The committee, based in the US, is international and works on the problems of journalists from every corner of the planet. In my conversations with colleagues from the CPJ, I was personally convinced that they are professionals of the highest order, most of them have experience of working abroad and many of them speak several languages, thus covering the entire world map with their attention. They read publications from different countries in the original, not as a translation, which allows them to have a clearer view of the fate of a particular journalist, who is being persecuted, attacked, convicted or put under pressure by the authorities. The International Press Freedom Award has been in existence since 1996. In previous years, its winners have been journalists well known in the Post Soviet arena, like chief editor of Moscow’s Novaya Gazeta Dmitry Muratov, Azerbaijani journalist Eynulla Fatullaev, Belorussian Natalya Radina, correspondent of the Russian TV company NTV Elena Masyuk, chief editor of Kazakhstan’s Respublica newspaper Irina Petrushova…Good company, won’t you agree? The prize has no monetary value. This is a diploma, or rather a metal sign plate, with the name of the laureate and their other information. The ceremony was held on 20 November in New York, in the luxurious Waldorf Astoria hotel. The sign plates were awarded to only two people: journalists Mae Azango from Liberia and Mauri König , who writes for Brazil’s largest newspaper. Two of the other laureates – Azimjan Askarov and Dhondup Wangchen from Tibet are currently imprisoned. Here I would like to add the most important thing. If the awarded journalist is in prison, then they are not awarded the prize. The CPJ takes it upon itself to fight for their colleague’s freedom. Only after the journalist is released, they will be invited to New York for the annual ceremony and then awarded the prize in person. So, Azimjan-aka, this humble, but very important metal plate, will be waiting for you in the States. 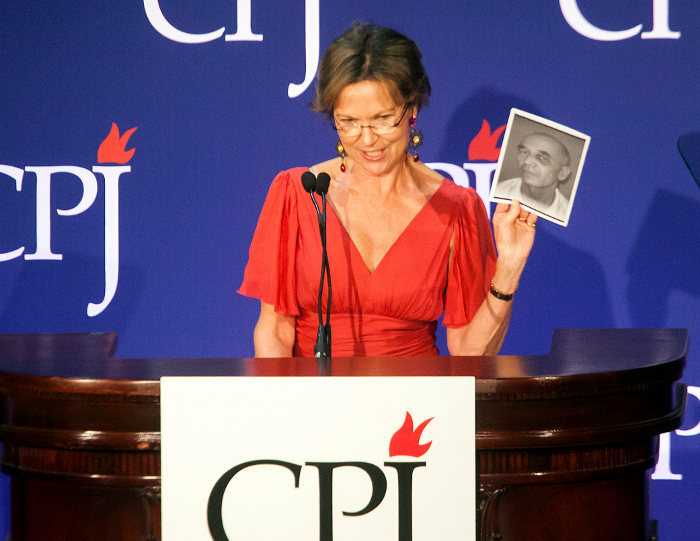 The CPJ’s main aim in awarding the prize is to turn the whole world’s attention to the journalist’s fate. This is why famous people are invited to the event, which includes the award ceremony and a dinner to celebrate the winners, and are charged a considerable sum. Despite the entry ticket’s very high price, the 900 capacity hall was full to the brim. And the people there were not just off the street. Top managers of the largest American and international corporations like Google and Apple, popular TV presenters and leading US mass media figures were there. All the funds gathered at the dinner will go into the Committee’s budget for the protection of journalists. All of the funds will be spent as assigned, in other words, only to protect press freedom: publishing of reports, work trips to lobby, support for journalists in trouble, payment for medical help and/or lawyers, campaigns to fight unpunished murders of journalists and more. It is also worth me noting that the Committee to Protect Journalists never takes any help from any state or government structures. You see, Azimjan-aka, business in America and in the West in general believes that supporting democratic freedoms and directing large amounts of money and effort towards them is totally normal. Going to the award of such a prize is in fact a prestigious honour. And I am certain, that this is not hypocritical fashion, but a sincerest desire to change something not only in their country, but also to help people abroad. In regard to your case, the CPJ has assured me that they will use all the legal opportunities available to them. These include the widespread publication of articles about your case (distribution of materials in regional and international media), meetings with international politicians and diplomats to discuss your case and get their help, potential meetings and negotiations with the Kyrgyz authorities, lobbying in international institutions and organisations like the UN (including an appeal to the UN Human Rights Committee about the unscheduled examination of your complaint), as well as appearances of CPJ members at international forums, seminars and round tables. Here I have to say a few words about what preceded the awards ceremony, i.e. about what has been going on in Kyrgyzstan in the last few days. Most importantly, it seemed to me that your republic’s authorities, Azimjan-aka, have been very frightened by the fact that you were awarded this prize. After your award was publically announced, your colleagues and journalists were no longer let in to see you. Kyrgyzstan’s authorities probably understood that this prize will turn intense public attention to your fate and will have wide resonance both within the republic and abroad. For them, for the authorities, it would be much better if you were forgotten, like they try to forget Andijan in Uzbekistan, and Janaozen in Kazakhstan. The film crew of American TV company CNN asked for a meeting with you in September; the CPJ asked them to film an interview with you to show it in New York on 20 November. The Public Administration for the Execution of Punishments of Kyrgyzstan rejected the CNN request without giving any reason, which totally bewildered the authoritative American documentary makers, who are used to opening almost all doors. I also requested a meeting with you several times in October and November. The Public Administration for the Execution of Punishments first told me that this was impossible, due to some sort of “regime strengthening”; then they said that the reason is a legal case launched against agency staff, who had previously let in some other journalists into the prison. Finally, I even promised not to film you and not to take any kind of interview from you, and not to publish anything after our meeting. However, I still did not manage to get permission to visit you in colony number 47 in Bishkek, where you are. Almost at the same time, our mutual friend, chief editor of weekly MK-Asia Ulugbek Babakulov was also denied a meeting with you. Believe me: people in the States understand clearly that your freedom is an extremely difficult issue for Bishkek and that it is a very hard one to solve. But, the fact that the Kyrgyz authorities are becoming more and more closed to discussing this topic and are distancing themselves from dialogue with international human rights activists leads to serious concerns. 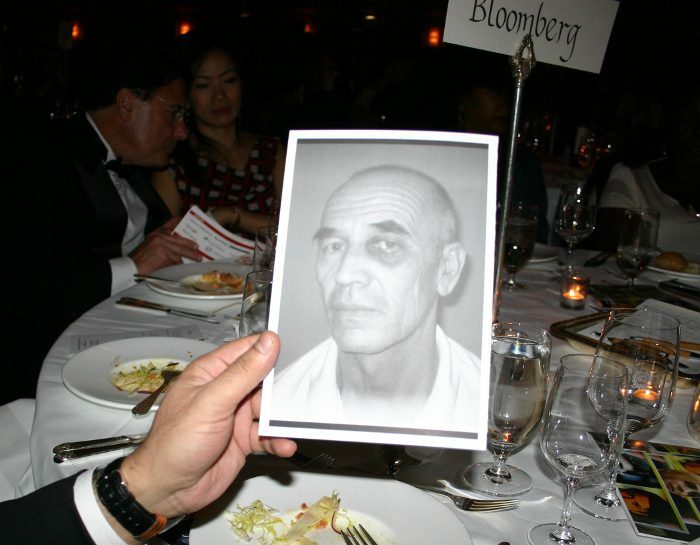 This celebratory and somewhat posh dinner hosted by the CPJ in New York was specially organised so that when Bishkek officialdom is constantly moving away from responding about your case, your name and call for your immediate freedom sounded as loudly as possible across the entire world. 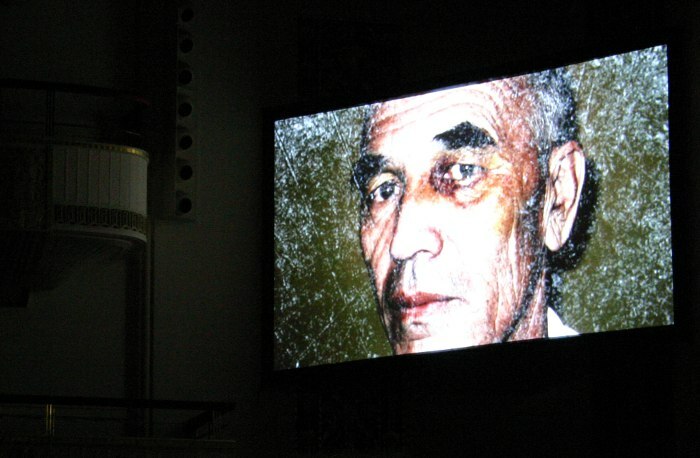 A part of your letter was read out from the stage, in which you thank the CPJ for this award, and fragments from your video interview, which was filmed in prison, were shown on the screen. The award ceremony was shown by all the leading US TV companies, articles about it were published in two of the world’s most brilliant newspapers – the New York Times and the Guardian. The petition calling for Askarov’s freedom and that of Tibetan Dhondup Wangchen was signed by several hundred of the most famous media people of the US during the dinner. During the trip, I also managed to visit Washington and speak before the Asian Division of the US State Department. My talk, organised by the CPJ, was mostly dedicated to your issue. I described your situation in detail and emphasised that the case against you was falsified and I told them that Askarov must be freed without delay and that this demands the utmost attention from all international structures and democratic governments. Dear Azimjan-aka, I am very sorry that in November, when I came to Bishkek before visiting the States, I did not manage to get through to visit you. I think that having talked to you in advance, I would have felt much more confident in the US and would have been able to express your personal position more clearly, in order to get it across to our American friends and colleagues. Today, I am left with congratulating you once again with the prestigious award, sincerely thanking our CPJ colleagues for the opportunity to be at the celebratory ceremony and to passing on their wishes of good health and courage of spirit to you. The Committee for the Protection of Journalists, other influential organisations, and us, your colleagues, will do everything to achieve your liberation and the total annulment of your sentence. New York will definitely wait until you arrive, to see you personally receive the highest journalism award in the world.